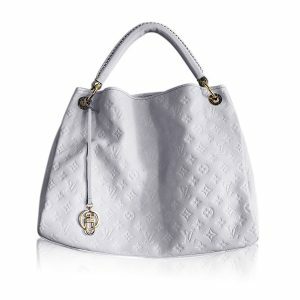 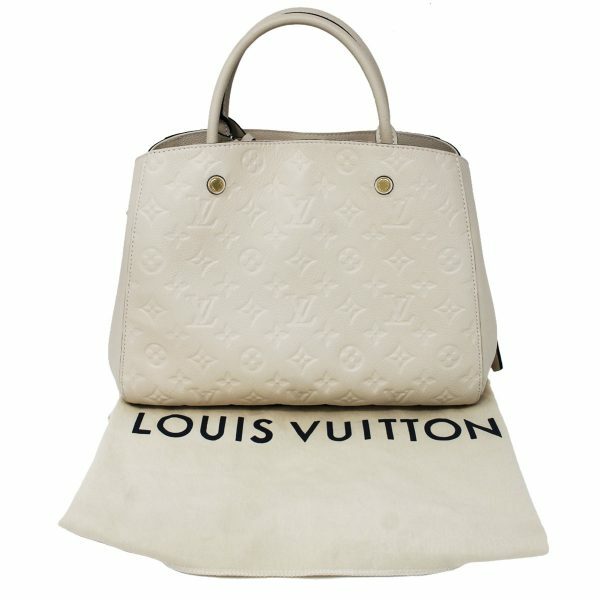 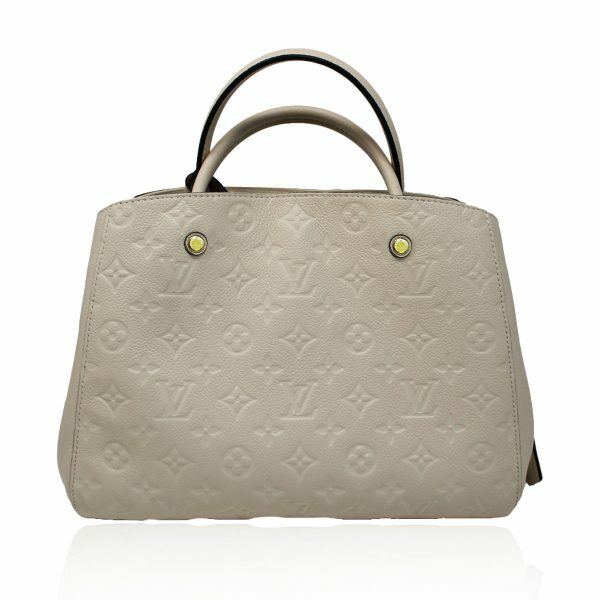 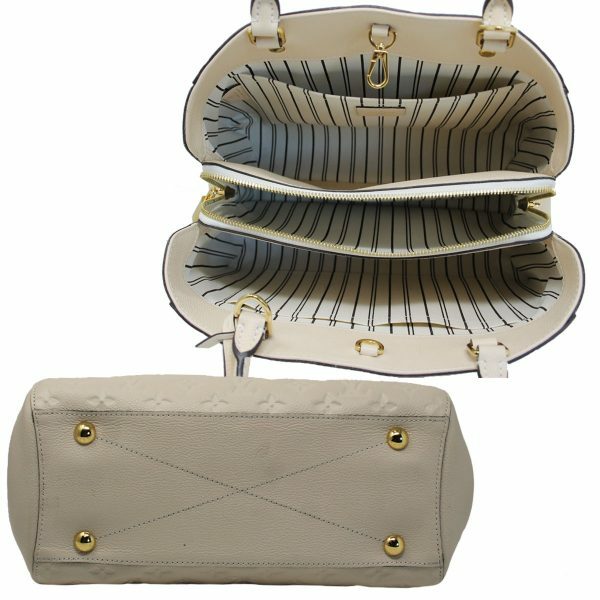 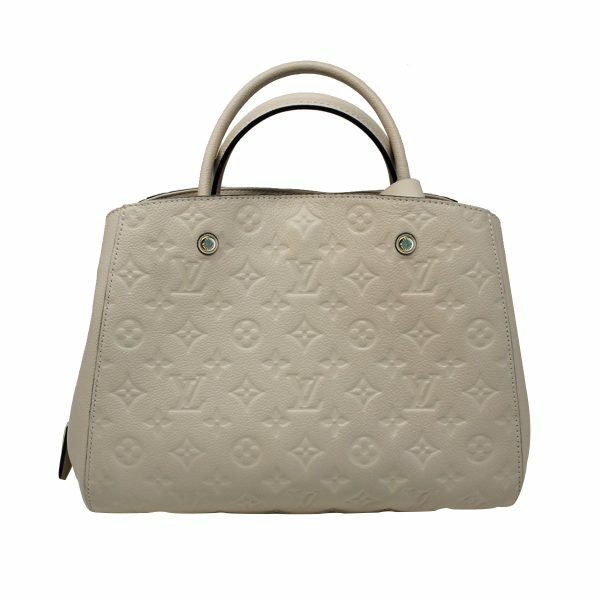 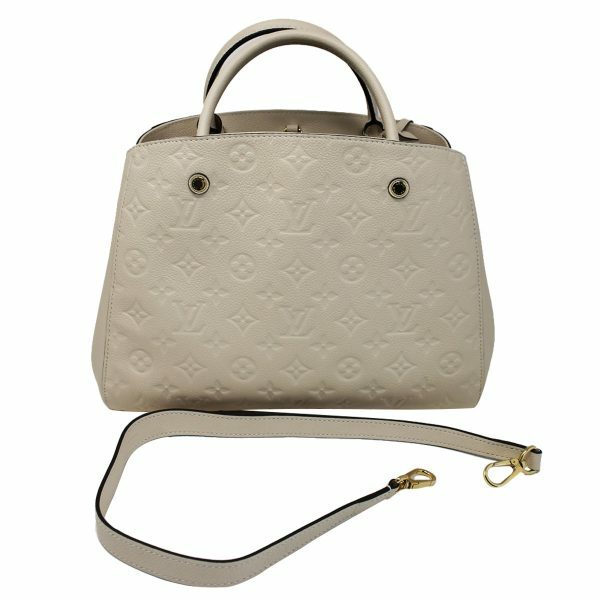 Condition This Louis Vuitton Montaigne Neige Empreinte Handbag with Dust Bag is in great condition. 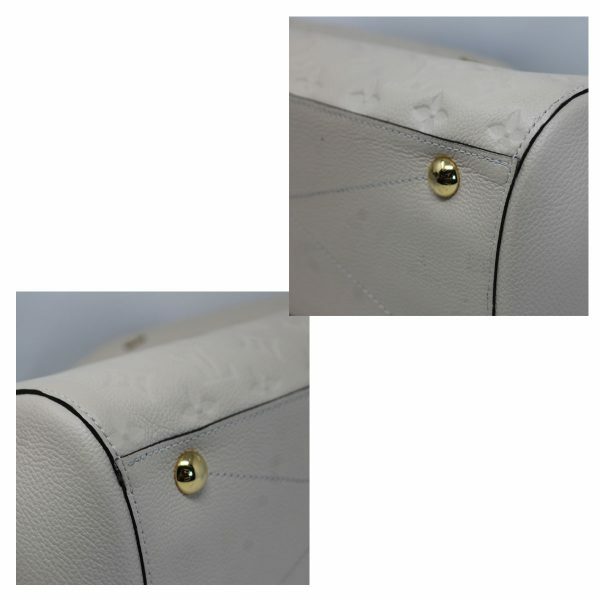 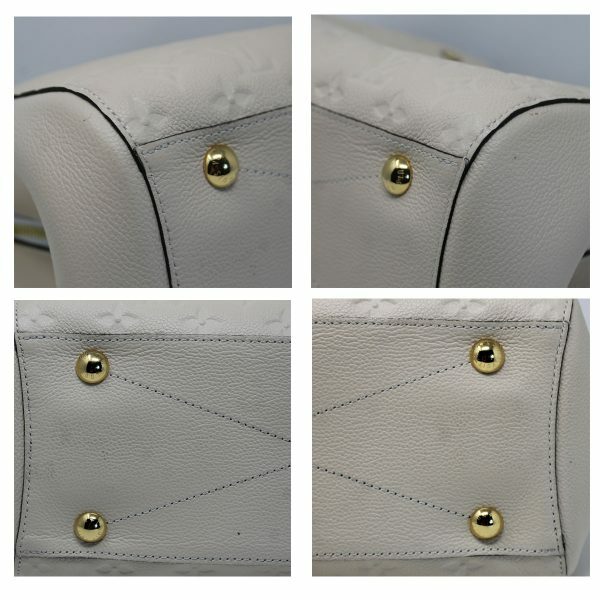 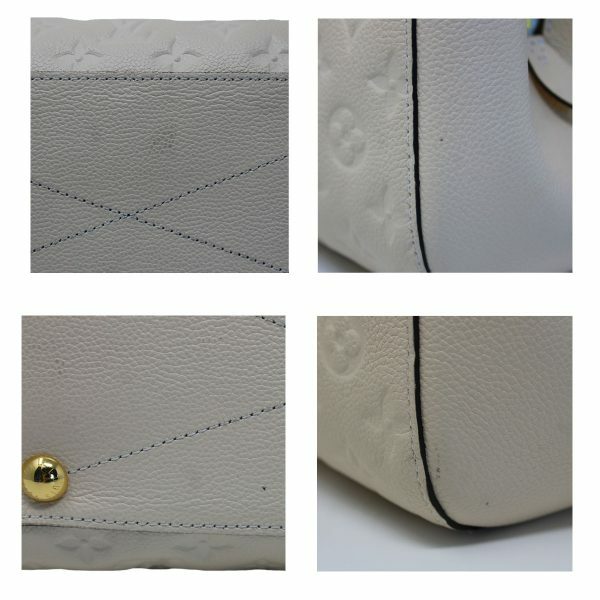 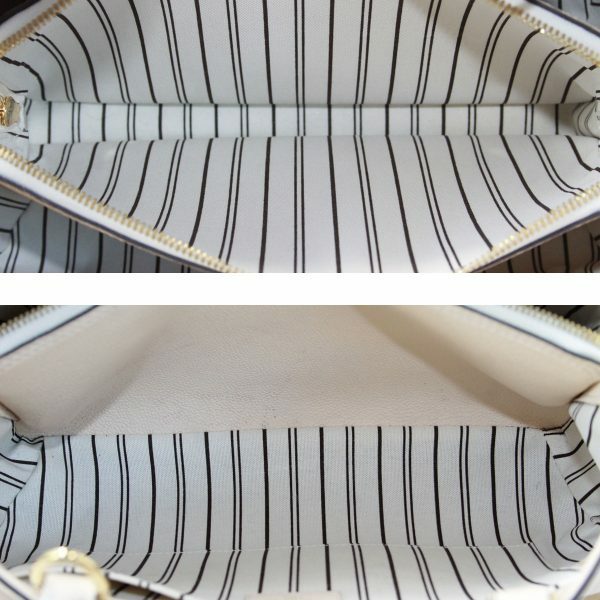 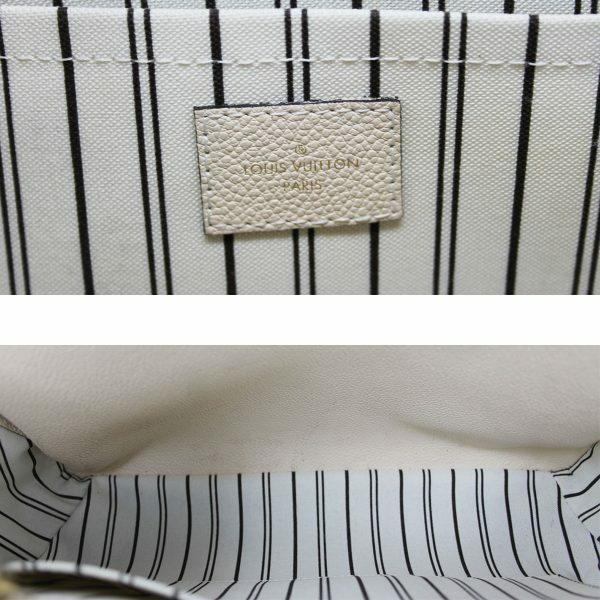 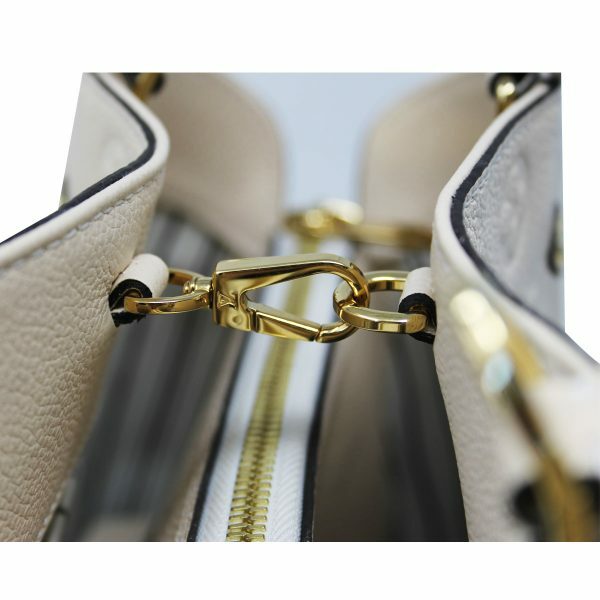 This Neige Empreinte Leather handbag has some minor stains on the inside as shown in images. 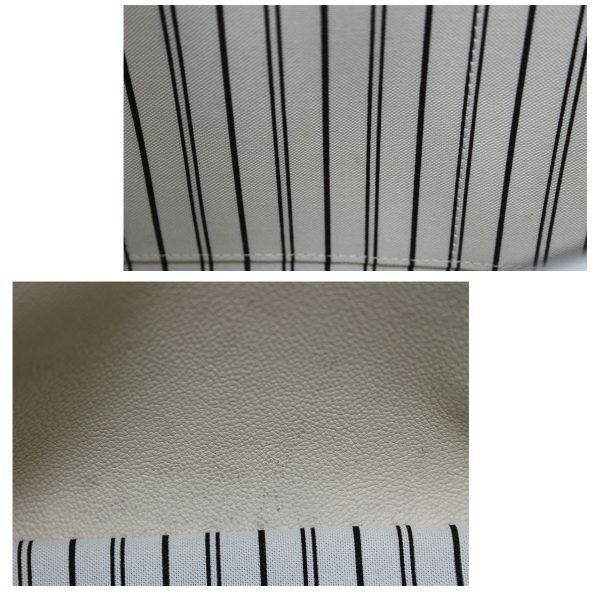 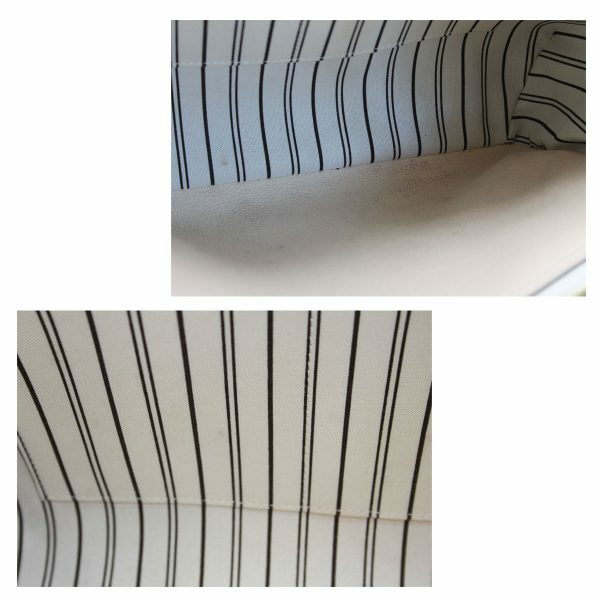 The beige and black striped interior shows some minor marks. 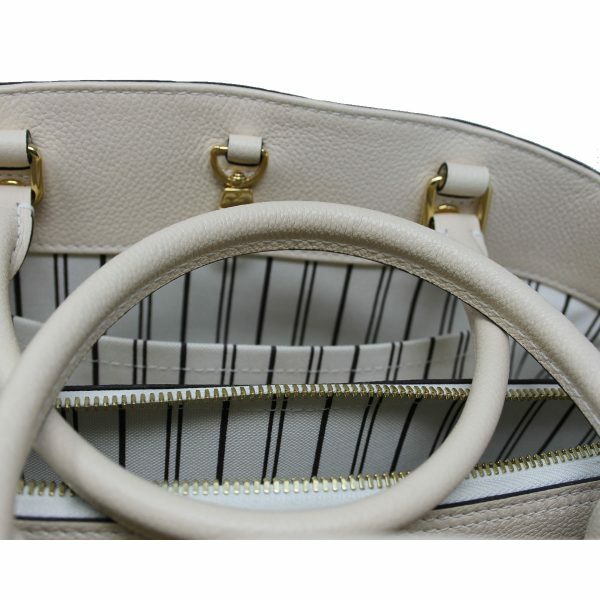 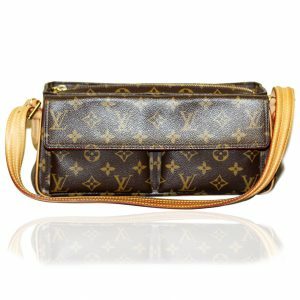 This bag can be worn with the 4.5″ handles or it also comes with an additional 10″ strap which is in great condition. 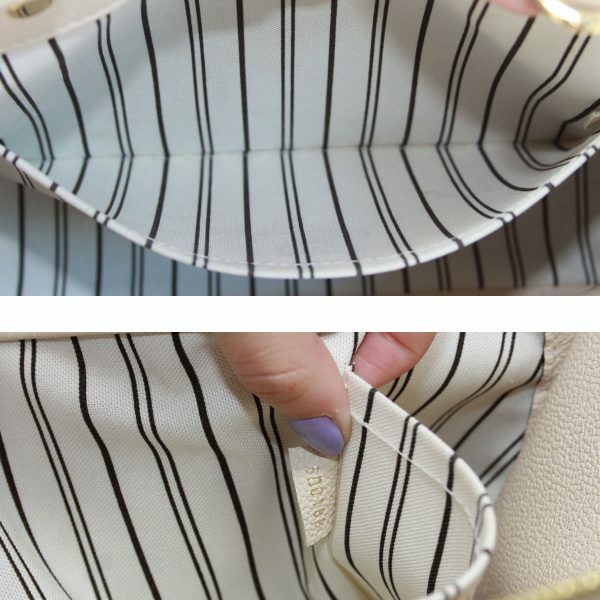 The interior contains a zipper compartment in the center and two big pockets on each side with 2 additional smaller pockets on one side and the other side a larger side pocket. 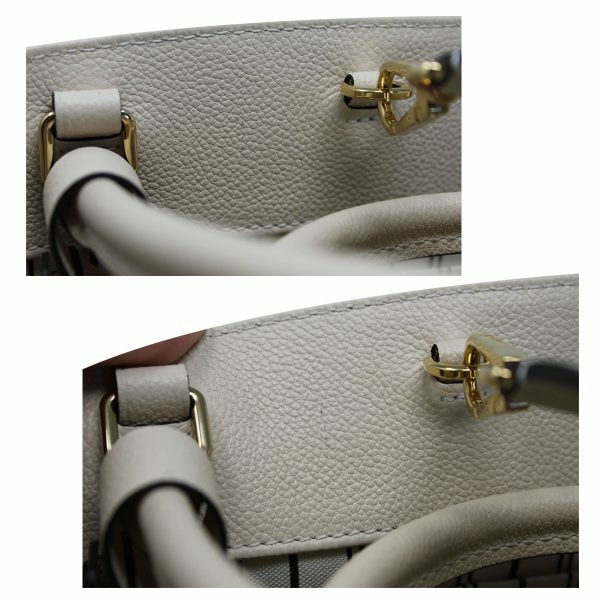 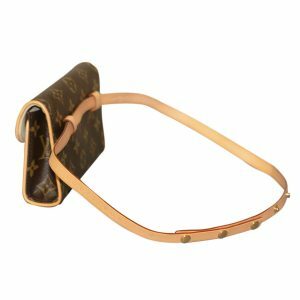 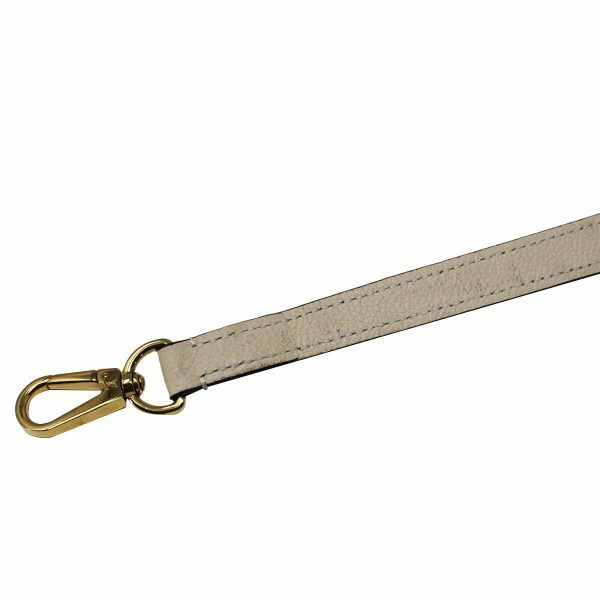 This purse has a gold tone snap closure along with gold tone accent hardware. 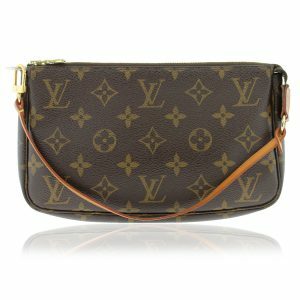 This is a perfect shoulder bag for the autumn and winter season!